Representative Honours: Ireland: 1 Full Cap (1938); Eire: 2 Full Caps (1937). Club Honours: (with Bohemians) FAI Cup Winner 1935. Paddy Farrell began his career in Irish junior football with Home Farm before arriving in the League of Ireland with Bohemians. He was restricted to the reserves at Dalymount Park until early in the 1934/35 season when coach Billy Lacey spotted a fault in his running action. There followed intensive coaching sessions on the cinder track at Dalymount which successfully corrected the problem and saw Farrell promoted to the first eleven. As the Bohs set about on a run in the FAI Cup, Farrell found the net in a 5-2 second round win over Waterford and the winner in the semi-final replay against that season’s League champions, Dolphin. The 1935 FAI Cup Final ended in a 4-3 victory for Bohs over Dundalk, the highest ever scoring final. More significantly Hibernian had seen enough to make Farrell a major target. His mother, a widow, had reservations about the move, but withdrew them when the terms of the deal became clear. As well as a £800 signing-on fee, Farrell was also to attend Edinburgh University where he would study dentistry, with Hibs paying the fees and arranging training so as not to interfere with his lectures. 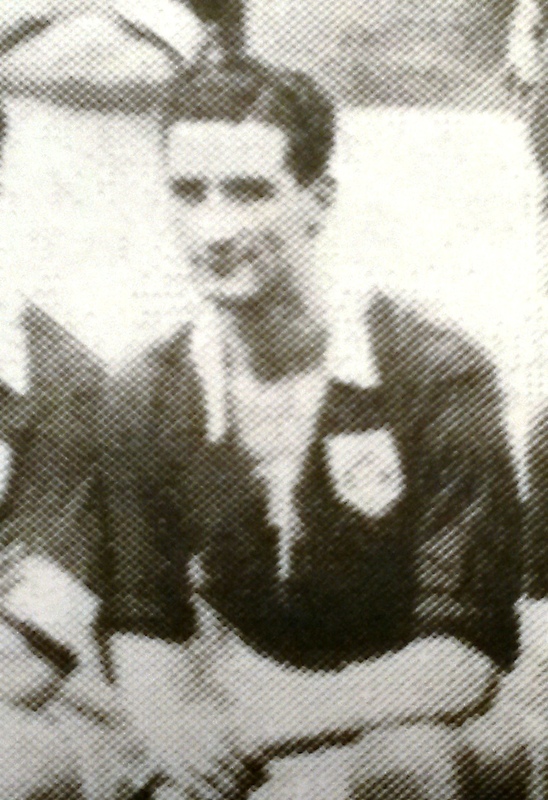 In May 1937 Farrell earned his first international recognition, playing for Eire in wins over Switzerland, 1-0 in Berne, and France, 2-0 in Paris. The following season he was capped by the IFA for the only time, stepping into Peter Doherty’s boots, in a 1-0 victory over Wales. At the outbreak of the Second World War Farrell joined the RAF, and after completing his service set up a dental practice in Hull. Summary: 1/0. Won 1, Drew 0, Lost 1. I found this a very interesting biography as I am from Athlone, the same town as Paddy Farrell was born. What was your information source?